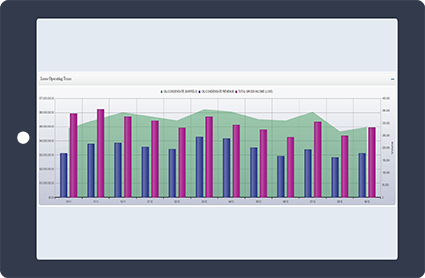 The Financial Report Gadget takes a financial report and its macro and converts it to a graphical display with full drill down capability. In other words, this gadget allows you to create customized answers for decision makers. OGdash will keep the information up to date and available 24/7.